COMPANY PROFILE HCL Technologies Ltd provides a range of software services, business process outsourcing, and IT infrastructure product and management services in India, US, and Europe. HCL Technologies provides enterprises with IT solutions in India. The company focuses on offering Digital, Internet of Things Services, Cloud, Automation, Cybersecurity, Analytics, Infrastructure Management, and Engineering Services to solve business problems for clients. While the company is based in India, it has international clients in a large number of countries. The company offers solutions to a variety of industries including Financial Services, Public Services, Consumer Services, Healthcare, and Manufacturing. The company emphasizes consultation services for firms, with the goal to offer them digital and design solutions. 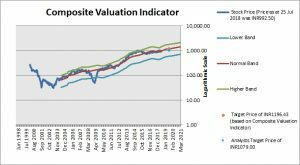 Valuation Based on the Composite Valuation Indicator, the stock has a Target Price of INR1196.43 within a 12-month period. Our Target Price represents upside of 20.5% based on stock price of INR992.5 as at 25 Jul 2018. 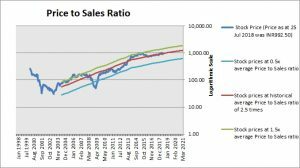 Growth EPS Growth for the company is neutral. At the price of INR992.50 as at 25 Jul 2018, Hcl Technologies Ltd is trading at a Price to Sales Ratio of 2.6 times last 12 months sales. 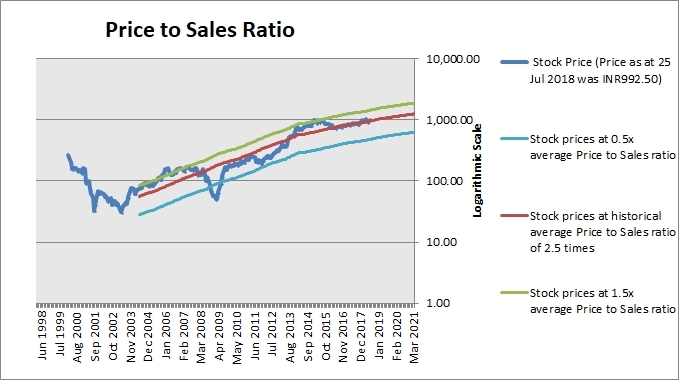 This is a 3.0% premium to its historical average Price to Sales Ratio of 2.6 times. At the price of INR992.50 as at 25 Jul 2018, Hcl Technologies Ltd is trading at a Price to Cash Flow Ratio of 14.7 times last 12 months cash flow. 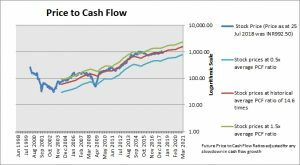 This is a 1.0% premium to its historical average Price to Cash Flow Ratio of 14.6 times. 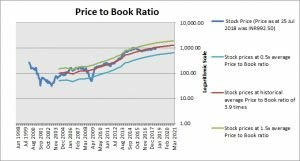 At the price of INR992.50 as at 25 Jul 2018, Hcl Technologies Ltd is trading at a Price to Book Ratio of 3.6 times current book value. 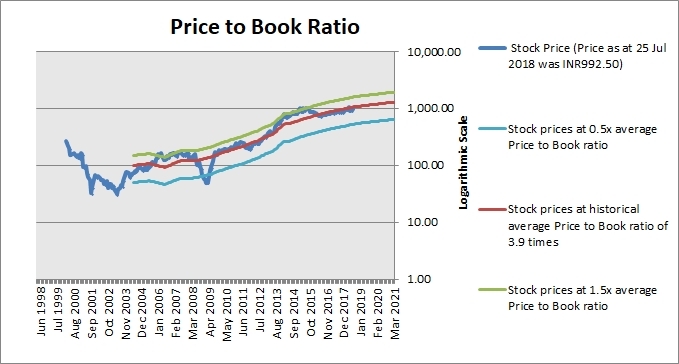 This is a 5% discount to its historical average Price to Book Ratio of 3.8 times. 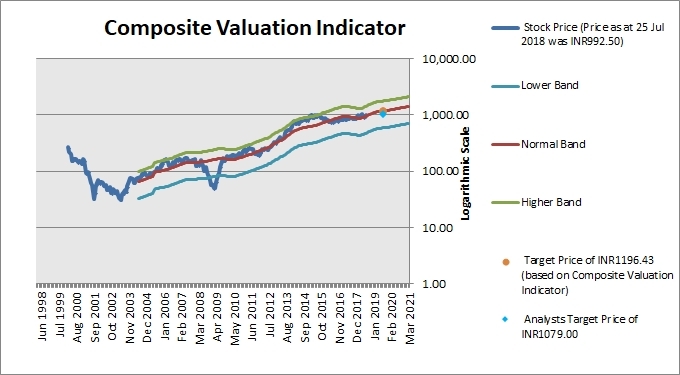 Based on the Composite Valuation Indicator, the stock has a Target Price of INR1196.43 within a 12-month period. 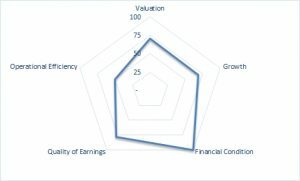 Our Target Price represents upside of 20.5% based on stock price of INR992.5 as at 25 Jul 2018. 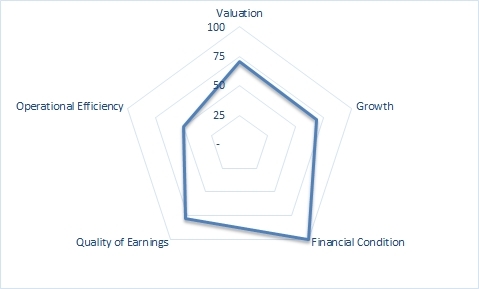 The target price takes into account the appropriate valuation of the company and its future fundamentals i.e. profit, sales, cash flow, book value, dividends, etc. 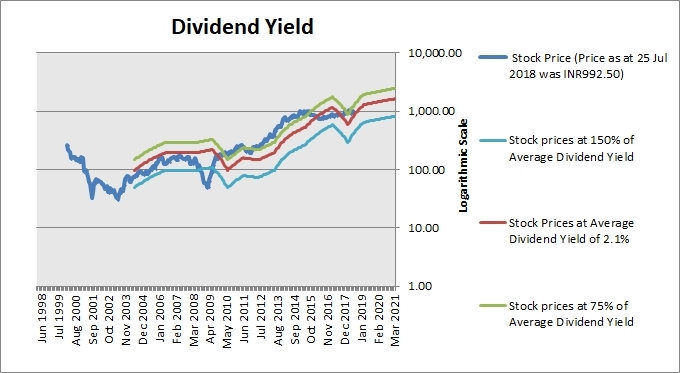 We recommend that investors start to take profit after upside of 15%.